On Thursday, August 16, 2018, Futures Collegiate Baseball League (Futures League) Commissioner, Chris Hall, announced that the league has broken its previous league average attendance record of 1,238 set in 2017. The Futures League averaged a record 1,514 fans per game for the 2018 season. 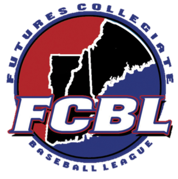 The Futures League was again led by the Worcester Bravehearts who set a team and league record with an average attendance of 2,502 fans per game. All seven Futures League teams finished with an average attendance of over 1,000 fans per game including the Martha’s Vineyard Sharks who finished with a team record 1,069 fans per game. 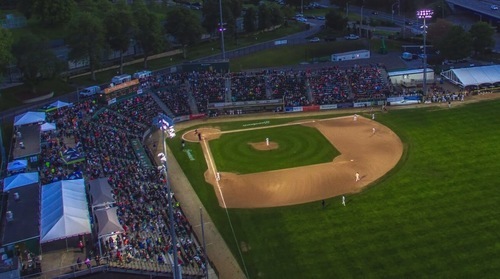 According to www.ballparkdigest.com the Futures League finished First in New England and Second in the Country to the Northwoods League (1,642) in average attendance. All seven Futures League teams finished in the top 60 in average attendance. The Worcester Bravehearts finished 6th in the country (2,502), followed by the Nashua Silver Knights who ranked 26th nationally with an average of 1,525, the 28th ranked Pittsfield Suns with 1,519, the 34th ranked Brockton Rox with 1,393, the 48th ranked Bristol Blues with 1,261, the 52nd ranked North Shore Navigators with 1,237, and the 60th ranked Martha's Vineyard Sharks with 1,069! Every team worked hard to maintain and improve their strong fan bases and we can't thank them enough for growing the league's brand in New England! To our fans, we also would like to extend our gratitude to you for making this season our best yet and we are excited for an even better year in 2019 with great baseball, great entertainment, and a great fan base!